Don’t put up with photocopies and the same old brochure templates that came free with your printer. 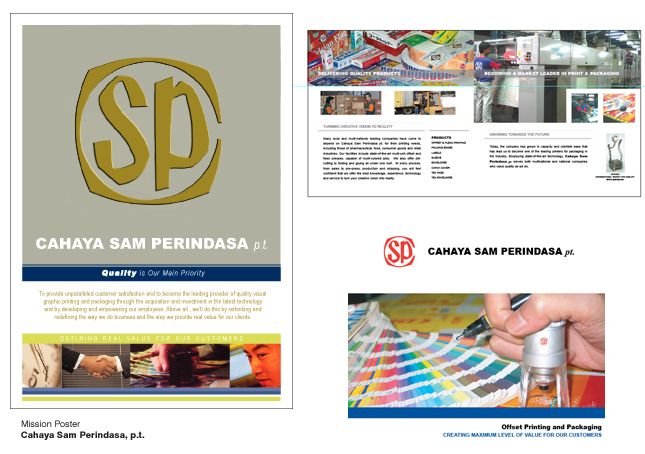 Set your business apart with a unique brochure. Make sure you do it right the first time, and you will have a brochure that helps you make the biggest return on the investment. Cahaya Sam Perindasa pt. was established in 1975 and began with only a single unit of the Matador Letterpress. Recognizing the growing needs and importance of quality from the consumers and the market, early investment in new technology were brought in, which helped us to achieve a higher degree of quality standard and recognition.